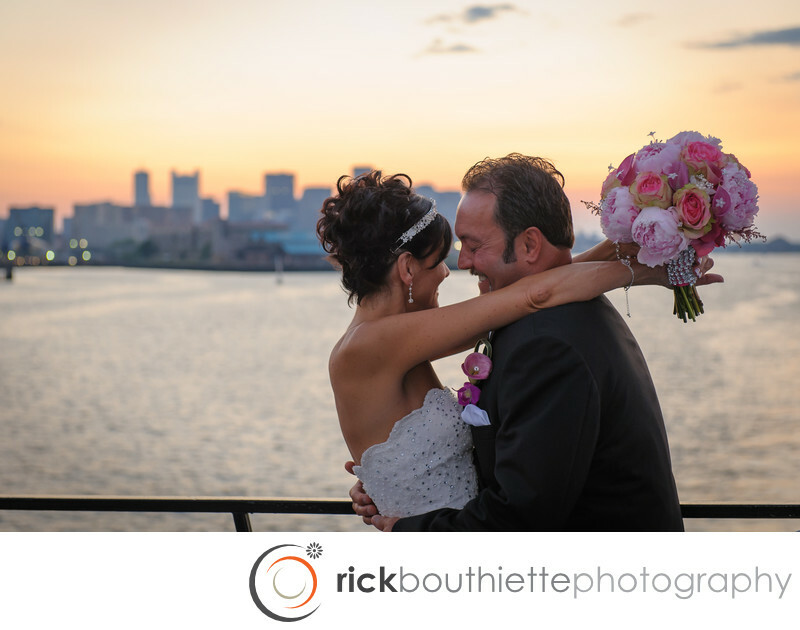 A wedding aboard the Odyssey from Rowes Wharf in Boston Harbor is a unique wedding experience. Robin and Alain timed there wedding ceremony so the light would be perfect for their wedding pictures. With the city skyline in the distance, this was taken just as we left Boston Harbor for the dinner/reception cruise along the coast.